Looks like everybody had fun playing with this theme. Thanks to all who submitted! Your art was fantastic. 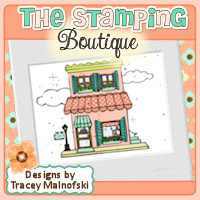 Thanks to The Stamping Boutique for their generous sponsorship of this challenge! The winner receives 3 digital stamps from the The Stamping Boutique store. Congratulations, Suzanne. Please email us at gingersnapstamp@gmail.com with your contact details by September 27, 2011 to collect your prize. Thank you so much for selecting me as a Top 10 Ginger Gem! Honoured and Proud! Congrats to all the Ginger Gems, the winner Suzanne, and everyone who entered! Great challenge! Congrats to Suzanne and all the Ginger Gems. Your work is so inspiring! Congratulations Suzanne and all the talented Ginger Gems! Thank you so much and congrats to Suzanne and all the other Ginger Gems! I'm very flattered to be in this talented group! Thanks so much for picking my card in your top 10! Very honored. Thank you so much for choosing my project for your Homepage Artist feature, that is so kind of you and I'm just thrilled. Thank you very much! And congrats to the other fabulous ladies who are featured as well--beautiful work ladies! How exciting! Thank You so much for choosing my project! There are so many talented ladies it is always an honor to e chosen. The other projects are awesome! Thank You again! Thanks so much for choosingme as a ginger gem !! These creations are so precious! And congrats to Susanne!